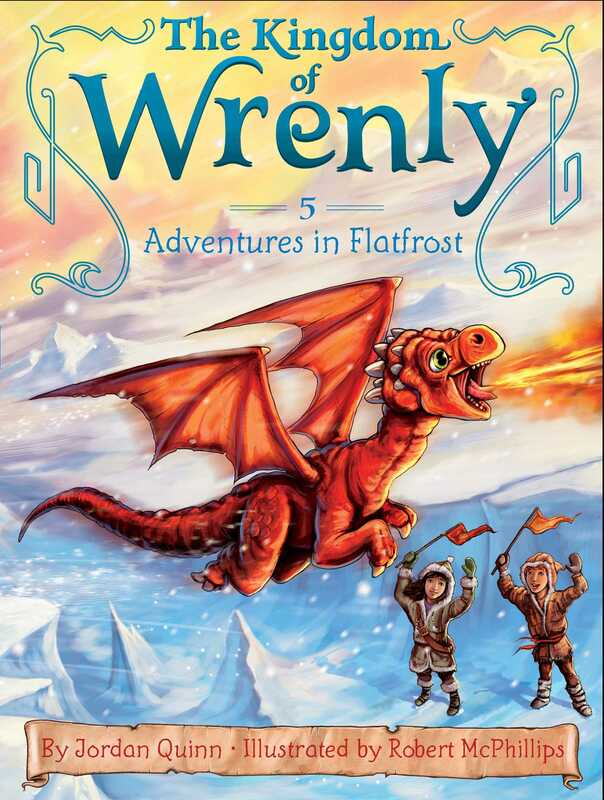 Prince Lucas and Clara venture to the land of the giants and train Ruskin to control his fire in this fifth chapter book in the fantastical Kingdom of Wrenly series. After a game of hide-and-seek, Prince Lucas and Ruskin are in trouble again. They have melted all the ice in the castle, and the king is not pleased. He sends Lucas and Ruskin to Flatfrost to fetch more ice from the giants who live there. High in the snowy mountains, some new larger-than-life friends lend a helping hand as Lucas, Clara, and Ruskin learn to respect the hard work of others.